A beautiful experience. Hope to grow further in spirit in this class. Calming, and slept very well after the session. attended the Thursday Vinyasa with Savy. was good session but I prefer the candlelight that this session had before. also, the sequences seem to be the same every time? enjoy going to this secluded studio. Awesome flow! Moved ease with Grace! First class with Jojo. The flow was intense but felt like every part of my body was stretched. And I learnt and tried Baby Crow for the first time and succeded! Instructor’s voice was loud and clear. Ample parking and clean studio. My first meditation class and man I loved it. Loved it loved it loved it so much! First time trying moon salutations and sound bath and it was fascinating!! Sherlyn's Belly Dance & Yoga Fusion class is nice and engaging. Sherlyn is a good teacher and I like the music she chooses. Would totally go again. Love the class! It's my first time that I feel relaxed during savasana! Jojo was really amazing! Great class with Savy! Super relaxing and definitely helpful to calm the mind! Guided Movement Meditation was about connecting to your soul yesterday. It's non structured enough to be liberating and guided enough so that you still have a direction for your movements. Guided Movement Meditation was interesting. The class guides you to explore images and experiences and express then through movement. There isn't much structure and no 'wrong' answer / movement. Takes some getting used to but interesting nonetheless. Would go again. Love this Sound Bath class. So relaxed. Very nice place, good yoga instructor and quite a therapeutic session. Good explaination on breathing techniques after not coming for more than 2mths. Very relaxing & soothing.. will definitely come again! Rather distracting with people coming in 20mins late. other than that great class as always. more challenging class today. I love it!! Yoga with Jojo on Sunday morning; Best thing to do get recharged for another exciting but hectic week ahead! It was awesome! :-) Jojo is a very good instructor she explains throughly on the yoga posses. She is kind and very patient especially to beginners. The candle lights and music ambience makes the entire yoga experiences very enjoyable and relaxing. She puts in a lot of affords to enhance the yoga experiences and making sure all attendees enjoy the class. I would highly recommend this place. Very relaxing and comfortable. And the smell of the towel is heavenly. Jojo made sure I had the AC during the class - super attentive. Enjoyed my back to back classes with Jojo. Not much difference in the two classes. Absolutely in loved with the ambience and the instructor, Sarah really pays attention to every single details on the coordination. Sarah's vinyasa flow was great! Just enough to keep you sweating. Very attentive and comes round to check on every one. something different. like the sound of the gong. Very relaxing & meditative. _/\_ Worth braving the Friday evening jam on LDP. Would have been better if latecomers weren't so noisy when entering the room. Studio is beautiful. Instructor is amazing. Be prepared to have the most relaxing Friday evening! Good class well paced. Studio prefer to let fresh air in or turn down the temperature. love the aroma essential oil, feel relaxed. Restore with Jojo - very good class for beginners and also experienced yogis. Very nice studio, love the fragrances everywhere. Beautiful&well kept studio,jojo is very attentive and guides us through step by step. 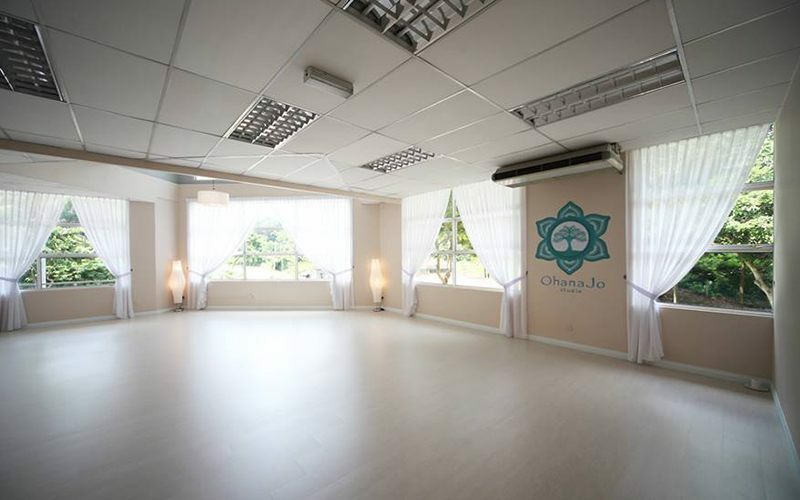 OhanaJo Studio is founded by renown Wellness Personality, Speaker and Regional TV Presenter of Discovery Channel series, 'Jojo's Diary of Asia'. She has been practising breathing techniques around the world for the last twenty years and she became a fully certified yoga instructor in Rishikesh, India. "Ohana" in Hawaiian means "family" so everyone is welcome here. This is more than a yoga studio. It's an inviting and friendly wellness space where like-minded souls can gather and grow their knowledge or practice amidst teachers, speakers, and fellow yogis on their own journey of mind-body healing and transformation. Jojo has always wanted to make people feel at home so OhanaJo was birthed out of this heartfelt wish for people from all walks of life to feel that same sense of belonging upon entering the studio.